We are the dust of stars, as Carl Sagan so famously said. The elements in our bodies (with the exception of hydrogen) were formed within stars, and then cast out to the universe when large stars explode as supernovae. Of course simply creating elements by nuclear fusion and sending them flying into the cosmos isn’t quite enough to make stardust. The elements also have to clump into dust particulates. Understanding that process has posed a bit of a challenge, but now a new paper in Nature has observed it happening in real time. 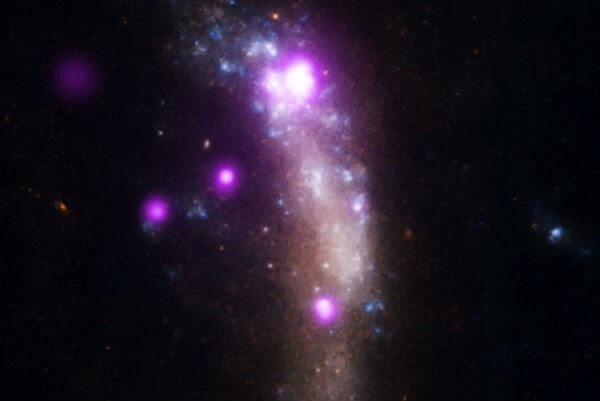 The team observed the remnant of a supernova that exploded in 2010. By measuring the spectra of this remnant, they could identify the elements and molecules of the remnant. By observing the infrared emissions of the remnant they could also determine the size of dust particles within the remnant. What they found was that within a couple years dust grains had not only appeared, but had grown to 4 micrometers in size. It’s estimated that within 20 years the remnant will have produced about a solar mass of dust. This is quite a lot of dust produced in what is a cosmic blink of an eye. If other supermovae produce dust at similar rates, then this would explain how dust could have formed so quickly in the early universe. any idea what the mechanism is to go from atoms to particles?